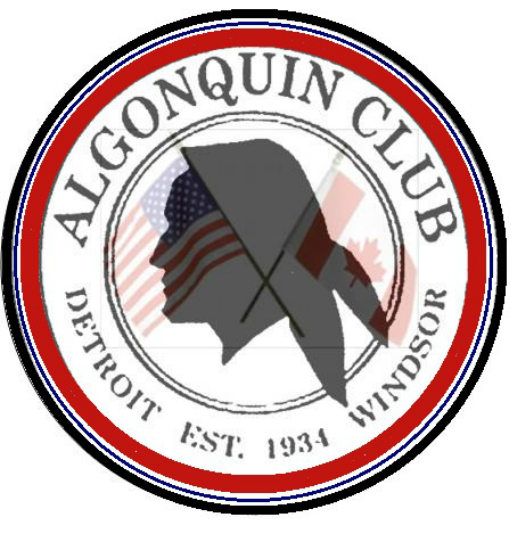 The Algonquin Club is an educational, international, not-for-profit organization for the study of Great Lakes region history. Staffed entirely by volunteers, membership is open to all people with an interest in the heritage of Windsor, Detroit and the Great Lakes. Activities include publications, community sponsorships and dinner presentations. Membership is open to people who share an interest in the history of the Detroit/Windsor region. The only requirement beyond that is an investment of $20 annually to join the festivities. Funds collected not only support the day-to-day operations of our club but also support local history events such as the Historical Society of Michigan's annual Historical Conference. Annually there are nine dinner meetings (September-May), traditionally on the 3rd Tuesday of the month, generally generating 30-50 attendees. Meetings alternate monthly between Detroit and Windsor. Preceding the dinner is a cocktail/mingling period that enables everyone to meet. Following dinner is the history presentation delivered by a speaker with expertise in the area of discussion. Programs are wide ranging in content and informal. Dinners, which are reasonably priced ($25), begin at 7:00 p.m. Speakers are scheduled to conclude around 9:00 p.m.
Meeting locations will alternate between the Clawson Steakhouse in Clawson, Michigan USA and the Fogolar Furlan Club in Windsor, Ontario Canada, unless otherwise noted. See Meeting Locations page for more information and directions. Tuesday 18 December 2018 - NO MEETING DUE TO THE HOLIDAY. Happy Holidays! Tuesday 15 January 2019 - Windsor, ON Patrick Bode discussed his book "Dying for a Drink"
Do you want to join our club? Please leave your name, address, email and a phone number. Let us know what meeting you'll be attending and you can pay your annual membership fee when you arrive. Membership will entitle you to receive a free copy of our monthly newsletter as well as support local history events.